At Bolton Optometry Clinic in Bolton, ON, we provide our patients with sophisticated blue light blocking lenses that can shield your eyes from direct exposure to blue light. To help prevent long-term damage to your eyes, Bolton Optometry Clinic provides state-of-the-art blue light blocking lenses and lens coatings for both children and adults. 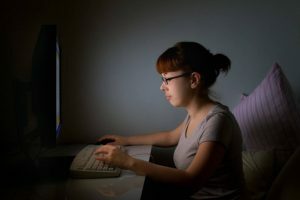 This will help protect your eyes from exposure to blue light and allow you to use your digital devices more comfortably and with significantly less soreness and eye strain. Our premium blue light blocking lens options include Zeiss Duravision Blue and Drive Safe, BluTech, Shamir Blue Zero, Hoya Recharge, and VSP Techshield blue. For our patients 15 and older, we also measure macular pigment density. 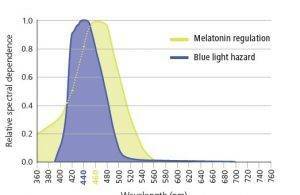 For more information about how our innovative blue light blocking lenses can help you, get in touch with us today. Our Bolton Optometry Clinic optometrists and opticians will be happy to speak with you and recommend the lens which best suits your needs and lifestyle.